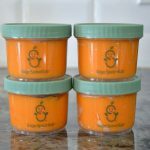 This acorn squash stage one baby food recipe is perfect for when the weather turns crisp and the leaves start to fall. It’s loaded with nutrients and is absolutely delicious. Roasting the squash really caramelizes it and brings out the natural flavors. 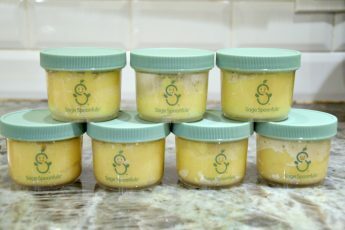 Delicious on its own or mixed with other foods like pear, apple, banana, avocado and baby oatmeal. This recipe is suitable for babies 4 months and up. Always make sure your baby’s food is a consistency he can handle and temperature check before serving. Preheat your oven to 425 degrees and line a baking sheet with unbleached parchment paper. Place the acorn squash cut side down on the baking sheet and put into the oven on the center rack. Roast for about 45 minutes, until the squash is completely cooked through and fork tender. Remove from the oven and let cool for 5 minutes. You can either peel the skin right off or scoop the squash out of the skin. Place the squash into a large mixing bowl and blend until smooth using your Sage Baby Puree & Blend immersion blending rod. Let cool and serve or store. This recipe yields a lot of baby food. 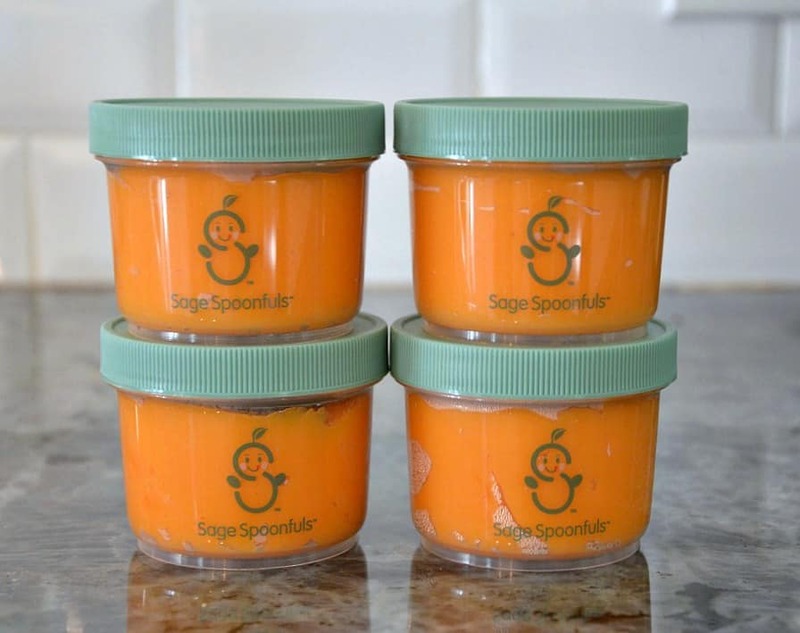 It can be stored in your Sage Spoonfuls jars for up to 3 days in the fridge and up to 3 months in the freezer.